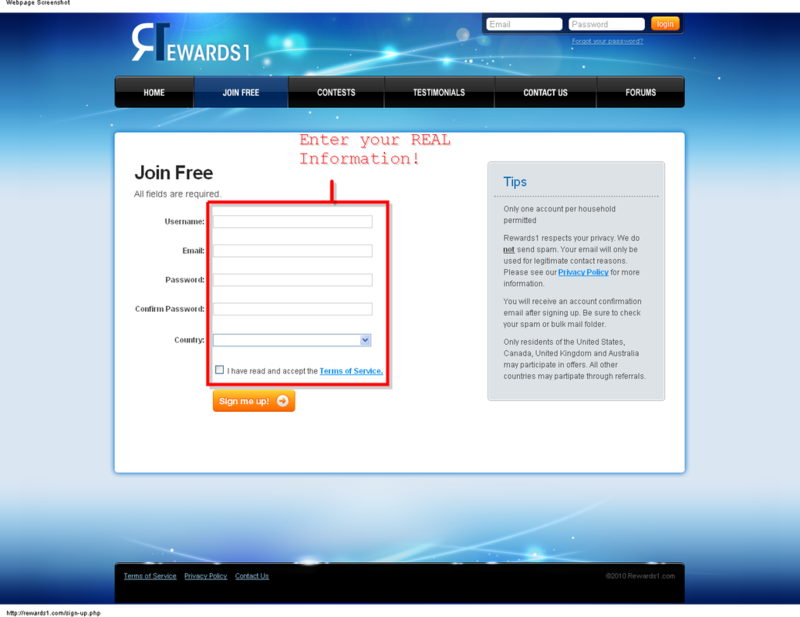 Get Started - Your ultimate source for free rewards! *NOTE: All images on the right hand side are clickable links, which will enlarge the image to help you step-by-step. Links on this website are supported by a short advertisement, don't let it annoy you, ads help pay for the website and hosting, there will be a link at the top right hand corner of the ad on screen to skip the ad once the page loads, yoou will then b directed the the real link. 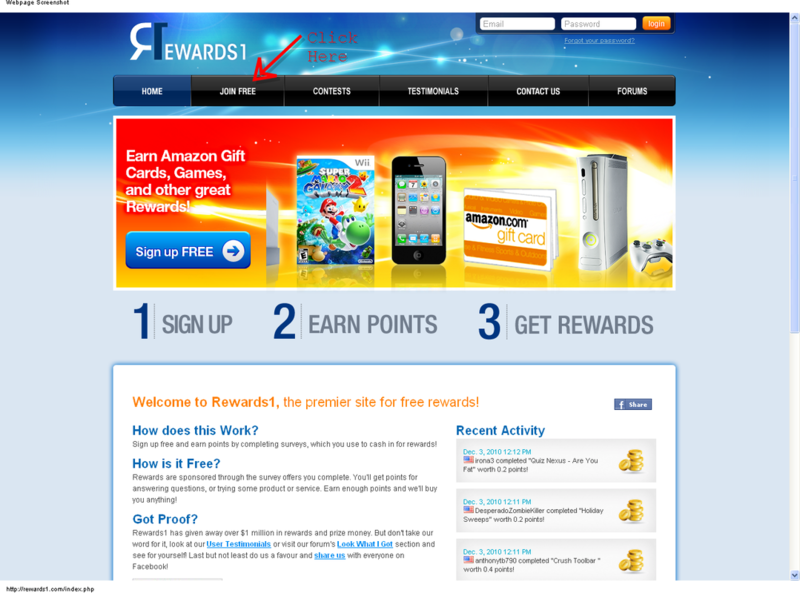 Go to Rewards1 by clicking this link. Click on the Sign up FREE button. Enter you information. 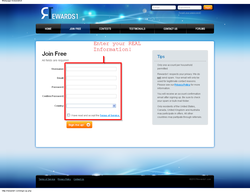 Enter REAL information, this is the address and email that they will send your rewards to. Confirm your email after signup. Then proceed back to Rewards1 using this link. 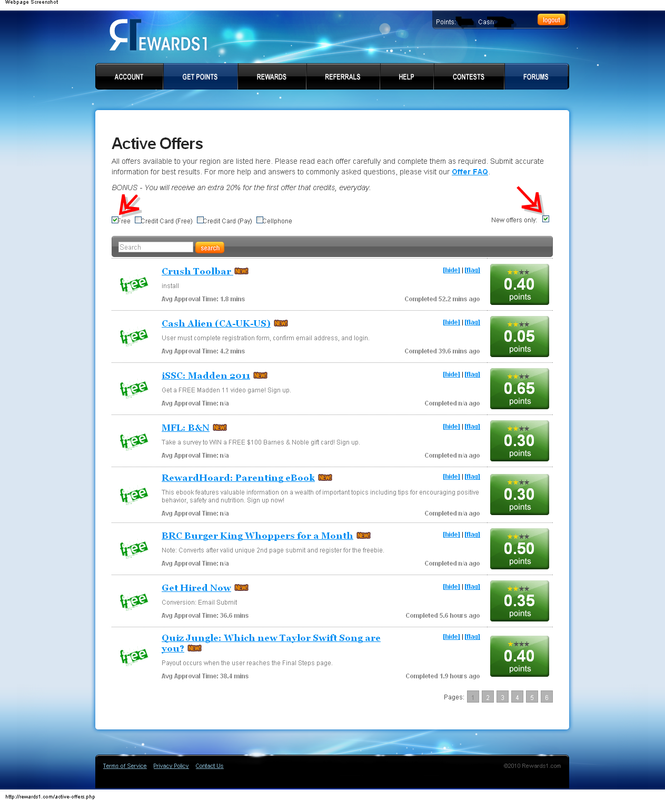 Hover over the 'Get Points' tab, and click on 'Active Offers'. 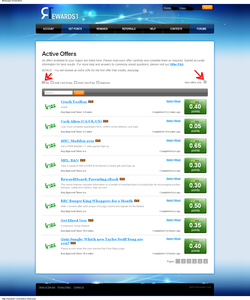 Once the page loads click on the 'Free' checkbox and the 'New Offers Only' checkbox. Click on any offer you want and fill it out. 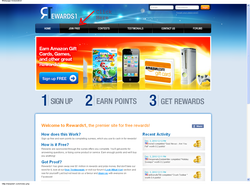 Most offers credit your points with just an email submit. Just read below the offer and it will tell you what you have to do to get your points. Your Finished! Your next priority is to go to my Tips & Hints page to learn how to get your points every time, all time, easily. On that page I explain ways to get points on every offer, and hints and tips on filling out the surveys and offers.